2004 Jeep Liberty gas tank location and trailer hitch allegedly caused death of Deanna Gilreath. July 19, 2018 — A 2004 Jeep Liberty gas tank fire lawsuit alleges the location of the fuel tank caused the death of a 58-year-old woman in Ohio. On October 20, 2017, Mrs. Deanna Gilreath of Hamilton, Ohio, burned to death in her 2004 Jeep Liberty after it was rear-ended by a concrete truck. The crash caused the rear-mounted fuel tank to leak gas and explode into flames. 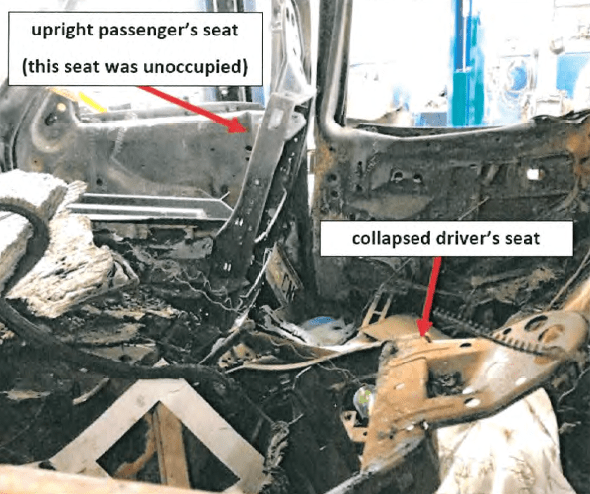 According to the Fiat Chrysler (FCA US) lawsuit, the seatback of the driver seat collapsed backward, putting the woman's head closer to the burning rear of the SUV. Witnesses to the crash describe a scene of pure horror as the Jeep burst into flames upon impact. One man told local media he saw the crash and the immediate resulting fire while running to the Jeep to join another man already trying to unlock the door. The men said the intense heat prevented any rescue and they had no choice but to turn away. According to the lawsuit, if the gas tank would have been located toward the middle of the Jeep, the outcome would have been much different because that area wasn't significantly damaged. Instead, with the gas tank located behind the rear axle, a trailer hitch allegedly used to protect occupants in a crash did just the opposite. In this case, the trailer hitch pierced the gas tank and allowed fuel to leak. The wrongful death lawsuit accuses Chrysler of three failures: Placing the Jeep Liberty gas tank in the crush zone behind the rear axle; using a trailer hitch to allegedly protect the gas tank in a rear-end crash; and manufacturing a defective seatback that didn't hold up in a crash. The lawsuit alleges FCA has known for decades that the placement of the gas tanks behind the rear axles increases the risk of fires and deaths in rear-impact crashes. Plaintiff Daniel Gilreath, the husband of Deanna Gilreath, says FCA certainly knew in 1978 about placing gas tanks too far toward the rear after watching what was happening with Ford Pintos blowing up into flames. Chrysler was also advertising Dodge vehicles in 1985 as safe vehicles because the gas tanks were located in front of the rear axles, the exact opposite of the 2004 Jeep Liberty. In addition, advertisements for 1996 Dodge Caravans promoted their safety by saying, "Fuel tank is mounted for impact protection ahead of the rear suspension and between the bodyside rails." The automaker made similar safety claims for Ram vans in 1999 by advertising the safety choice to put the gas tanks ahead of the rear axles to protect the tanks. The lawsuit also references a letter sent to FCA in February 1998 from the mother of a woman who was in a Jeep with a rear-mounted gas tank. The writer said her daughter's Jeep was hit from the rear and "[w]ithin moments, the Jeep was on fire because the gas tank had been hit." Her daughter did escape the SUV and flames, but the woman told Chrysler a person would be in serious danger if they "could not get out of the car within moments." According to the Jeep Liberty lawsuit, more evidence showing Chrysler knew about the dangers of the gas tanks comes from 1998 when the automaker performed a computerized crash test on a Jeep with a gas tank behind the axle. FCA allegedly determined the final 25 inches of the rear-end of the Jeep were being crushed, a serious problem considering the gas tank was located only 11 inches from the rear. 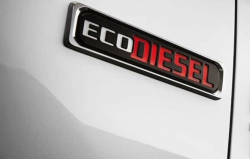 The plaintiff says engineers noted "[t]he crush in the structure in the vicinity of the fuel tank is undesirable and therefore needs to be minimized." However, the automaker allegedly took no action and didn't let customers know about the test results. According to the plaintiff, more evidence can allegedly be seen from 2000 when an internal organization stopped placing test instruments in the rear-ends of Jeeps undergoing rear crash tests. 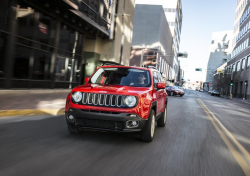 The organization, FCA's "Rear Impact Tech Club," allegedly said test instruments in the final 24 inches of the rear-ends of the Jeeps were being destroyed in rear crashes. However, the gas tanks were still left in the same area. And as more alleged proof the automaker knew about the dangers of the gas tank locations, by model year 2008 the automaker had moved the gas tanks to the front of the rear axles on all of its Jeeps. In June 2013, the National Highway Traffic Safety Administration (NHTSA) asked Chrysler to recall 2.7 million SUVs, including the 2002-2007 Jeep Liberty, because of the risk of gas tank fires in rear impacts. 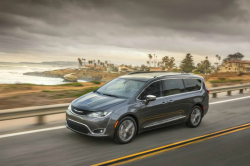 Chrysler said the "analysis of the data confirms that these vehicles are not defective and are among the safest in the peer group." 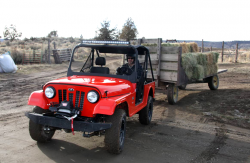 Further, the automaker said at the time of manufacturing, every Jeep met all federal safety standards. François Castaing, Chrysler's former vice president for engineering, admitted in 2011 the trailer hitches will not protect the gas tanks. And according to the Jeep Liberty lawsuit, the trailer hitch makes things even worse by turning into a spear that pierces the gas tank in a crash. Mr. Gilreath says his 2004 Liberty was taken to a Jeep dealer based on the recall, but he was told nothing needed to be done to the SUV because it already had a Chrysler tow package/trailer hitch installed. FCA has been sued before because of Jeep gas tank fires, including in the case of four-year-old Remington Walden who burned to death following a rear-end collision. The jury ruled Chrysler "acted with a reckless or wanton disregard for human life" and awarded Remington's family $150 million. 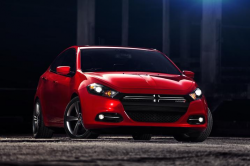 Although the award was eventually dropped to $40 million, the jury verdict was upheld on appeal, with one judge ruling "[t]he evidence against FCA was overwhelming." 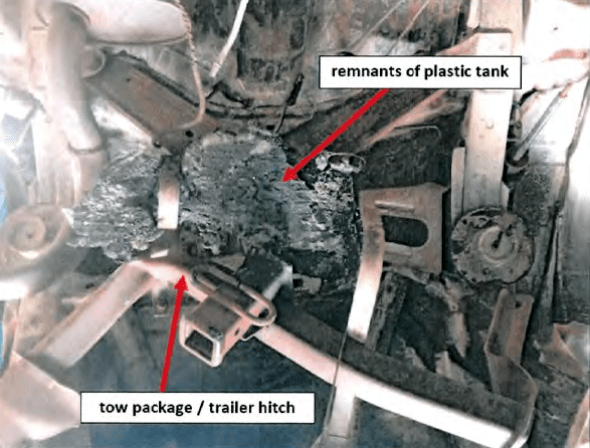 In addition to the claims about the trailer hitches and gas tanks, the lawsuit alleges the seatbacks are defective and dangerous because they collapse easily in a rear-end crash. Shown below is the collapsed seatback where Deanna Gilreath was seated. In a fire a collapsed seat can mean the difference between life and death. The occupant falls backward with the seatback which leaves the person disoriented, making escape less likely and making it harder to reach the person for rescue. According to court documents, the federal rule that set a minimum standard for seatback strength was based on a test dated from the 1970s that was so easy to pass that certain lawn chairs passed the test. In addition to FCA, the lawsuit also names the trucking company, Tri State Concrete Construction, Inc. and the truck driver who hit the Jeep Liberty, Tracy Wayne Moore. The Jeep Liberty gas tank fire lawsuit was filed in the Court of Common Pleas of Butler County, Ohio - Daniel B. Gilreath, v. FCA LLC, et al. The plaintiff is represented by Butler Wooten & Peak LLP, Butler Tobin LLC, and Holcomb & Hyde, LLC.